Home Bankruptcy BlogPersonal Bankruptcy How Often Can You File Bankruptcy? For most people, filing for bankruptcy is a “once in a lifetime” event. Unfortunately, sometimes things happen and you may be finding yourself once again facing financial hardship and looking at the possibility of filing bankruptcy a second time. If so, you are not alone. Approximately 10% of bankruptcies are for individuals who, for one reason or another, needed to file bankruptcy more than once. There are, however, implications and consequences of filing bankruptcy more than one time. One of the most serious implications of a second bankruptcy is that you will be bankrupt for a longer period of time. The first time you file bankruptcy you are eligible to be automatically discharged from bankruptcy in nine months (or 21 months if you have surplus income). In a second bankruptcy the length of bankruptcy increases to a minimum of two years, and increases to three years if you have surplus income. A second bankruptcy will also have an impact on your credit report. The major credit reporting agencies in Canada generally report a first bankruptcy for six or seven years after the date of discharge. A second bankruptcy can remain on your credit report for up to 14 years, or twice as long as a first bankruptcy. That can negatively impact your ability to borrow in the future. How often can you file bankruptcy? It is possible to file bankruptcy for a third time, but if you do you will be required to attend a discharge hearing in bankruptcy court. You will be required to explain to the judge why you filed bankruptcy three times, and it will be up to the court to decide if and when you get discharged. The court could impose conditions on your discharge, such as holding your bankruptcy open for an extended period of time, or requiring you to make additional payments. A third bankruptcy is something to avoid. What are your options if you have declared bankruptcy in the past, and you have new debts? To avoid the additional costs and consequences of filing bankruptcy more than once you could consider a consumer proposal as a way to negotiate a settlement with your creditors. You will avoid a repeat bankruptcy but still find a solution to your current financial problems. If you find yourself facing the possibility of filing bankruptcy a second or third time, contact a trustee in bankruptcy and ask them about your alternatives. 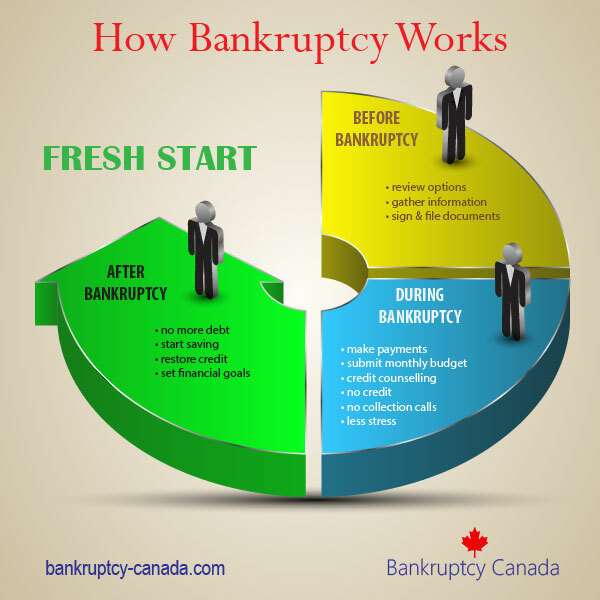 After Filing Bankruptcy in Canada, How Long will it be on my Credit Report? I live in Prince Edward Island. I filed for bankruptcy in 2011. However, over 30,000 in government debt was not discharged in my original bankruptcy. These were student loan debts and as a result I still have these debts after the first bankruptcy as it was only 6 years since I ceased to be a student. I don’t want to apply to have the debt discharged by a court because I don’t want to lose my car, but I also still do not have the financial means to pay the payments Revenue Canada is asking per month to pay these debts. It has now been over 7 years since I ceased to be a student, and like I said I want to keep my car as I will need it to get back and forth to work, my wife doesn’t have a license, and I have a 15 year old and a baby due this month. Therefore, my question is can I file for bankruptcy a second time to both prevent a wage garnishment from Revenue Canada and to get this debt discharged while keeping my only vehicle. At this point I am not as concerned with the length of a second bankruptcy or how it will affect my credit rating as I am in trying to discharge this debt and keep my car. Also, is there a time I have to wait between my first bankruptcy to when I can file for bankruptcy a second time, and if so, what is that time frame. Please help me answer these questions. Thanks. I am sorry, but who told you that you would lose our car if you apply to the Court to have the student loans retro-actively included in your first bankruptcy? I have never heard of anything like that. The purpose of the hearing is for the Court to determine whether or not you have the ability to repay any portion of your student loan. Unless you decide to sell your car to raise the money, your car should have nothing to do with the hearing. I think you may want to look into this solution a bit further. To answer your question, you have the right to file a second bankruptcy as soon as you are discharged. You don’t have to wait at all. Having said that, if for some reason you end up in Court at the end of your second bankruptcy, the amount of time between your first and second filing will be taken into account (used against you). A second bankruptcy will definitely stop a CRA wage garnishee. I filed for bankruptcy in 2005, Ive done well until the past few years where Ive been using credit to cover costs, and took out a loan to settle my student loan which wasn’t included in my first bankruptcy. Now Im approximately 27,000.00 in debt again and looking at debt settlement and/or bankruptcy. If I don’t care about it being on my credit report for 14 yrs are there any other reasons why I shouldn’t claim bankruptcy to alleviate the medical stress this is putting on me? 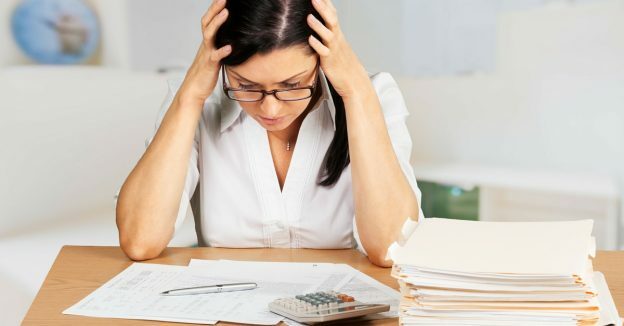 In addition to the 14 years a second bankruptcy is on your credit report, there may be other negative consequences, such as the requirement to pay surplus income. You are correct that the positive is that your debts are eliminated, which may be the most important factor in your situation. I suggest you contact a licensed bankruptcy trustee for a no charge initial consultation to review your situation and examine the alternatives, which may include filing a consumer proposal to avoid a second bankruptcy. Hi. Without knowing the details it is impossible to answer your question. Whether or not you can keep your car or house in a bankruptcy depends on the value of the asset, the amount owing on it, and which province you live in. I suggest you contact a trustee to arrange for a no charge initial consultation to review your options. As this would be your second bankruptcy, you would be bankrupt for a minimum of 24 months, so it may also be prudent to consider a consumer proposal as an alternative to bankruptcy. I have an outstanding balance for my income tax. Most of the balance is CPP remittance. I’m self employed and had a serious reduction in income. Will I be able to use a consumer proposal to reduce or eliminate my income tax/CPP balance. I’m self employed. Hi Randy. Yes, if CRA accepts your proposal, it would take care of all tax debts, including CPP. CRA is strict when accepting proposals, so you should consult with a trustee to determine what amount you would likely have to offer to get CRA to accept a proposal. I claim bankruptcy long time ago when I was younger, had a full discharge… few years ago I got in trouble again …. I owe credit card money and tax of 7 000, my car value is about 6 000 still have 1 years to pay for it… will I lose my car if I decide to claim bankruptcy I’m not to sure what to do right now should I do a customer proposal… with all my card and my income tax I own probably 30 000 in debt. Also If I have a roommate I don’t want to involve him in this will this cause problem for him? Hi Nath. Your roommate will not be directly impacted by this, unless they also signed for your debts. You can file a consumer proposal or bankruptcy and keep your car, provided you continue to make your loan payments. You could also decide to surrender the car, and any shortfall would be included in your consumer proposal or bankruptcy. You should ask your trustee to explain the implications of a second bankruptcy, which is why in your case a consumer proposal may be the preferred option. I initiated a second bankruptcy 7 years ago. I then had to leave the country and did not make any payments to my trustee. I missed the court date. I now would like to return to Canada. What do I need to do? Am I facing criminal proceedings. I forgot to mention, I’m still broke…. Hi John. Not paying for your bankruptcy is not a criminal event. You should contact your trustee to determine what you need to do to get your discharge. Another court hearing will be required, so you will need your trustee to tell you what duties are outstanding to allow you to get your discharge. Since your student loans were not discharged in your original bankruptcy, only the bankruptcy court can discharge them. You would need to make an application to court and if the court agrees, your loans would be discharged. Your other option would be to file a consumer proposal or a second bankruptcy to deal with the loans. A trustee or a bankruptcy lawyer can provide you with further information. Hi, I am in a pickle to clam bankruptcy or not, the wife says you will go to jail after the third bankruptcy. I don’t know what to do? I now live in BC and the House is in NB, so are my credit cards. Thank you for any response. Hi Merv. It’s not a criminal offence to go bankrupt, so no, you won’t go to jail. However, with a third bankruptcy a court hearing is required, and it is likely that you will be bankrupt for an extended period of time, perhaps two to three years, or longer. For that reason a consumer proposal may be a better option to avoid a third bankruptcy. Since you live in BC, you should talk to a British Columbia bankruptcy trustee to review your options. Hi I am wondering about what my options are when it co Es too owing a mortgage on a property and owing property tax for that property… I already bankrupted twice and wanting too avoid the third time… The house is owned by my ex husband and myself … He doesn’t want anything too do with it and I am unable to pay off the property tax owing alone ….. What are my options please help?!!! Hi Jennifer. The answer will depend on the value of the house, and the amount owing on the mortgage and property taxes. If you can sell the house and pay off the mortgage and property taxes, that would be the simplest option. A licensed insolvency trustee can discuss your options in more detail, which may include filing a consumer proposal as a way to avoid bankruptcy. My second bankruptcy was in 2001, when the market crushed. I took early retirement in 2013 because of a bad back. With limited pension income, I have spend all my saving and rrsp. I have now maxed out all my credit cards and line of credit, total debts over $100,000. How do I get out of this one. I am currently looking for full time / part time employment. Michael: You could do nothing until you are working (since you have no wages to garnishee if you are not working). Once working you could either file a third bankruptcy (which will last for many years, and will require a court hearing to get your discharge), or you could file a consumer proposal to avoid a third bankruptcy (if you have an income and therefore have something to propose with). Hi. I have had two prior bankruptcies. I am currently on Disability CPP. I am worried and nor sleeping thinking about taxes owed. Apparently being found disabled by CPP does not qualify as disabled to the CRA so getting hit with taxes owed and bills. Heck my old car got towed when I took Ill ended up in hospital. Now the tow company wants a couple grand to even take my car. It’s a 98. It is theoretically possible for CRA to garnishee CPP, although that is rare. You should consult with a licensed insolvency trustee to determine your options. My fiancee is going to claim a bankruptcy. It is her first. She has her own income, I have my own income. We are not married. Will I be involved in her bankruptcy in any way? It is all her debt and nothing to do with me. We are getting married in the fall. After that I will be claiming my 2nd bankruptcy. Will her income have any influence on my bankruptcy? She said if my debts cause her any issue we won’t be getting married. In other words, it is my problem and she doesn’t want a thing to do with my debt or paying it back. Hi Dale. Surplus income is calculated based on the size of your family, and includes all family income. For the first few months of her bankruptcy your fiancee is single, so your income has no impact. Once you are married your income will impact her calculation, and vice versa. However, the family limit size also increases when married. So, to determine if your marriage will have any impact on your bankruptcies, I suggest you contact a licensed insolvency trustee for a no charge initial consultation. I was talking to a friend the other day who had filed bankruptcy a few years ago. They had a student loan that was supposed to be included in the bankruptcy. During her time in bankruptcy the government did not ask for money to be paid and they accepted the bankruptcy payments over that time, she has even received a tax return this year. Since she was released and she filed her taxes this year they have since contacted her looking for payments to resume. They are claiming that this loan was not included in her bankruptcy. In 2013 when she declared bankruptcy they are telling her that she filed too early. Can you tell me how long after the her classes was she supposed to wait to file? Her bankruptcy trustee said they filed properly, but the government is telling her they didn’t. Hi Tracey. A student loan is only automatically discharged if more than seven years have elapsed since you ceased to be a student. Here’s an article that explains the 7 year student loan rule. Hi there, I had a bankruptcies in AB and was discharged in 1996 and am now in Newfoundland and facing a hardship. Does the government know if you have already declared one? I claimed bankruptcy back in 2000. Consumer proposal in 2008-9 ish.. struggling again.. what are my options and how long for the negative impact from another proposal or bankruptcy? Hi Rob. A second bankruptcy remains on your Equifax credit report for 14 years, regardless of any proposal filings. 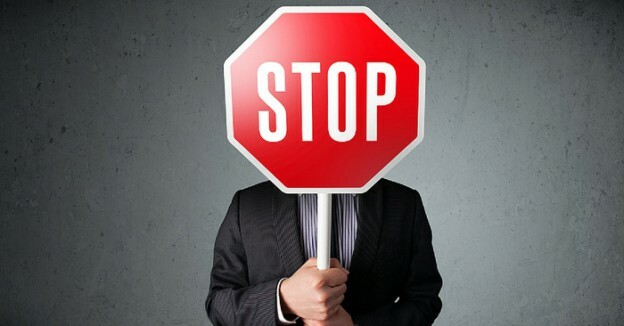 Equifax does not have a specific rule for a second proposal filing, so in most cases a second proposal would remain on your credit report for three years after you make your final payment. Hi Tom. A consumer proposal does not count as a second bankruptcy, so if you were to file bankruptcy again you would be considered a second time bankrupt.